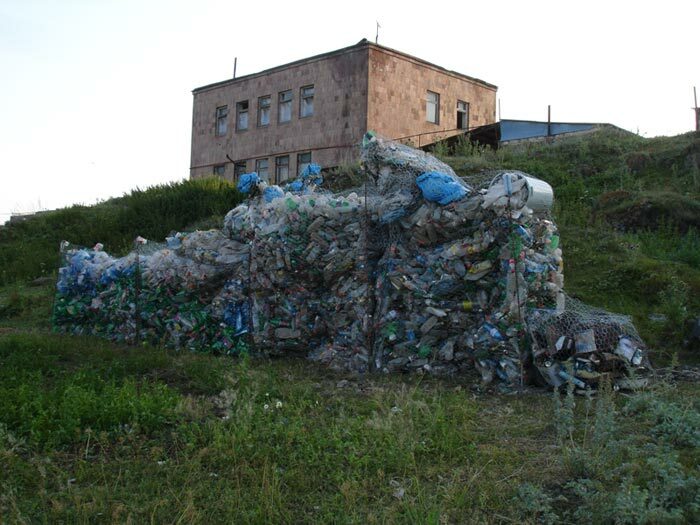 Alina Mnatsakanyan, in collaboration with ‘Sevak’ NGO (Switzerland, France and Armenia) and ACSL, proposed a site-specific installation entitled ‘Cyclopean walls’ to be carried out in the village of Ljashen. The idea of the project was not novel for the artist’s experimentation, as Alina Mnatsakanyan had started working on the core idea of the project since 2011, combining art and social action. The project is an example of participatory, dialogue art or community-building art. 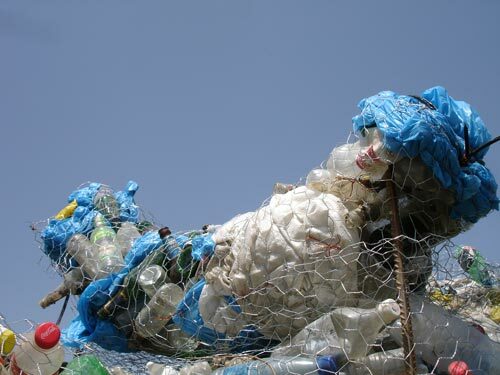 The project actively involved non-artistic communities of the region is was implemented in and, the same time, it symbolically emphasized the issue of environmental and cultural heritage preservation. 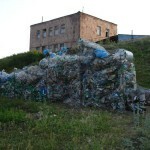 Mirroring the true vestiges of the cyclopean walls of Ljashen, Alina Mnatsakanian created a wall with the garbage collected from this historical site. The installation aimed to challenge the visitors on the historical past of Armenia, as well as on the current situation of the country and the future generations. 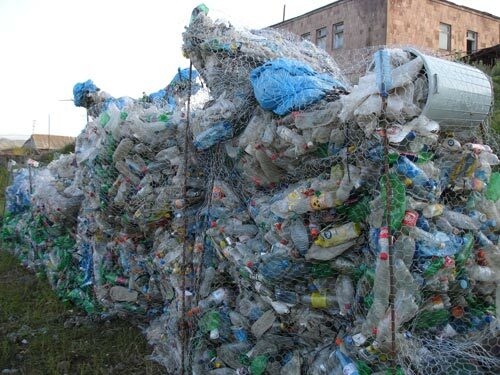 The project is a reflection and an action on the prehistoric cyclopean walls in Armenia by correlating them with the contemporary issue of waste management. Cyclopean walls take us to the traces of old civilizations. According to Greek mythology, only the Cyclops–giants with an eye in the middle of the forehead–had the force to move massive rocks to create the walls of Mycenae and Tiryns. Cyclopean walls exist in Armenia as well. Alina Mnatsakanian is a multilingual and multicultural trans-media artist. Armenian by origin, Alina Mnatsakanin has lived in Tehran, Paris, Los Angeles, and, since 2005, she has been living and working in Neuchâtel, Switzerland. Alina Mnatsakanin’s research is concentrated on two parallel lines: paintings and installations, which sometimes converge. Loyal to her beginnings as a painter, in 2006, she started a series of paintings named ‘Marks’, with a vocabulary resembling an alphabet. ‘Marks’ are paintings in multiple layers that represent the multitude of experiences people have during their lifespan and the need to put their signatures on their surroundings to be able to continue to exist and be fulfilled. In her recent work, Alina explores digital conversions of the ‘Marks’. Using artificial intelligence algorithms, she transforms movement to ‘Marks’, which repeat themselves and create multiple layers, similar to ones happening in her paintings. In her installations, Alina addresses issues that are dear to her. Her research about identity in relation to territory and language sometimes takes an autobiographical form and sometimes is dedicated to similar experiences in the Others. Rejection of injustice is another important issue for Alina, where she does not hold back from expressing her opinions through installations and performances. The accumulation of the information and the experience translates into ideas, shapes, and colors: layers of still or moving images, sounds, or simple brushstrokes. There is no discrimination of media. Every new experience requires a unique treatment, from painting and sculpture to video, performance, and robotics. Her interest in technology took a turn in 2007, when she received a production grant from the Swiss Ministry of Culture for an installation with 5 videos and a robot, made in collaboration with the robotics department of the École Polytechnique Fédérale de Lausanne (EPFL). In 2009, she followed her robotic explorations with the Institute of Artificial Intelligence in Lugano through a grant from the Artists-in-Labs program funded by the Swiss Ministry of Culture. This Project is initiated and developed at the ‘Art Commune’ International Artist-in-Residence Program (ACSL). 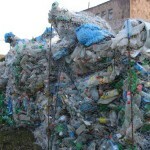 The project is funded by Swiss Agency for Development and Cooperation (SDC) and Eco Engineering Yerevan.